Layered sedimentary lines of different colors. 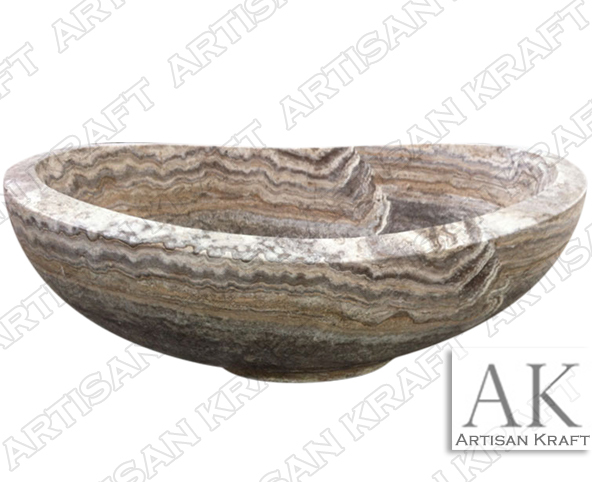 What a gorgeous centerpiece this honed Silver Travertine tub is! Each bath is unique in its veins and grooves. One of the most unique natural stones that is offered. Dress up the interior bathroom. This very bathtub was delivered to a customer in the Los Angeles, California area for an exterior spa. All of our marble bathtubs can be installed inside a bathroom or outdoors. Design the perfect home spa with this perfect slipper bathtub.